April did not beat the page-view record on this blog, but it did end up in 2nd place all-time behind March. I think this is more reasonable behavior than the steady rise the blog had from May of 2011 through January of this year. Some months should be up some should be down. #1 ... Female vs. Male Brain Oct 28, 2011 .... just like always. Still #1 all-time. #2 ... Don't read this pre- #GABF post Oct 11, 2012 ... still #6 all-time. Not sure why people keep reading this. I told you not to. #3 ... All-Grain Version of the White House Honey Ale Nov 12, 2012 ... Still not in the top 10 all-time but seems to be making up ground on the White House Honey Porter post. #4 ... Will Drink in May Apr 13, 2013 ... Nice position for a blog post actually written in April. Talks about SheppyBrew's Helles in a Hand Bock-sket . Go ahead and get your own bumper sticker if you want. #5 ... Biking with the Sheep Apr 8, 2013 ... My son's first big bike ride with his new bike. We went up Waterton Canyon and got to see wild big horn sheep. #6 ... Brewing TommyHawk, doing Taxes Apr 15, 2013 ... 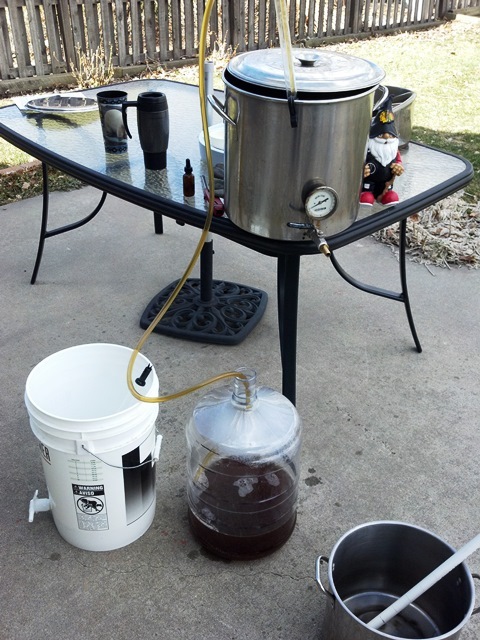 Brew day for my world-famous TommyHawk APA (which is actually an IPA). #7 ... My 500th Blog Post Feb 5, 2012 ... Always popular. It has actually moved from #4 to #3 on the all-time page view list. #8 ... Finding Beer Balance Apr 5, 2013 ... My Beer Blogging Friday entry for April. 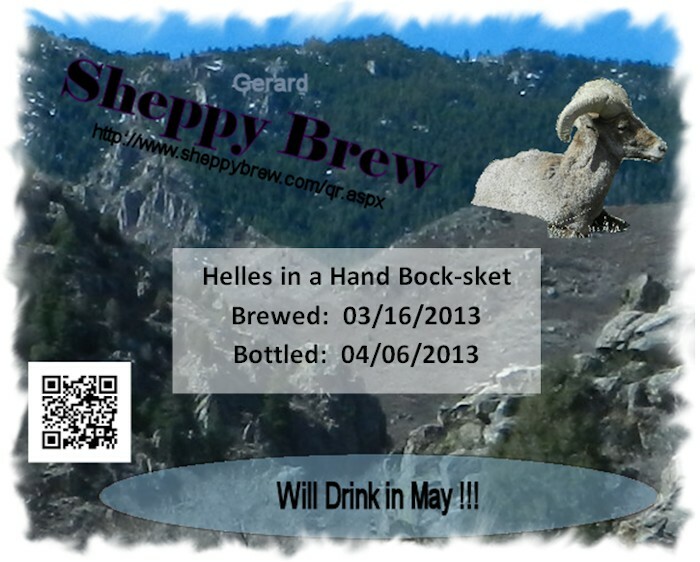 #9 ... 2013 Q1 SheppyBrew Stats Apr 5, 2013 ... Just the standard quarterly report of SheppyBrew Brewery and how it is doing. #10 ... Women and Beer Jul 23, 2011 ... As always, people like women; people like beer. This is still #2 all-time in the page view list, and in no danger of losing that position any time soon. 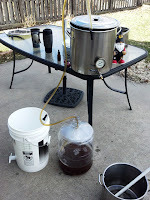 I will also give honorable mention to Brewing Some Buckwheat BPA , which was written on April 1st. Had I taken my snapshot yesterday or before, It would have made it into the top 10. That is too bad. I don't think I've ever done one of these monthly summary where 6 posts from that month had made it into the top 10. Come to think of it, having 5 posts written in April make the top 10 for this month is unusual as well. This is probably a first for this series of posts.